Having a custom-built computer is beneficial in many ways. Every aspect of the computer can be modified and customized to fit your wants and needs. How are these machines superior to brand name or store bought computers? 1. Bloatware – Many brand name computers will be loaded with software you either don’t use and/or don’t want. Most of these programs will take up resources greatly reducing the performance of the machine. 2. Cookie-Cutter – Why settle for the same case everyone else is buying into? Your computer doesn’t need to look like the others. A seemingly endless variety of styles, colors, and peripherals are available for the aesthetics of your computer. 3. Exact Fit – When you have a custom computer built, you dictate what hardware and performance enhancers are required. You can get exactly what you want without paying a brand name company extra. 4. Judge of Character – According to many forums, custom-built computers seem to outlast brand name ones by a factor of years. Of course, this is speculative to actual usage from those who built his or her own machine. 5. Warranties – Nearly all component manufacturers have a standard one-year warranty on the part. Some will have a longer coverage time depending on the company. For instance, Seagate offers a three-year warranty on its hard drives. 6. Unavoidable – With a custom-built computer, any technician can work on problems that may arise. Opening the case by an unlicensed professional recognized by a brand name company will not void any warranties on the computer. 7. Future Expansions – Many brand name computer systems are near impossible to add components to. Most name brand computers may be restricted to a single hard drive without an option to add a second for additional storage. 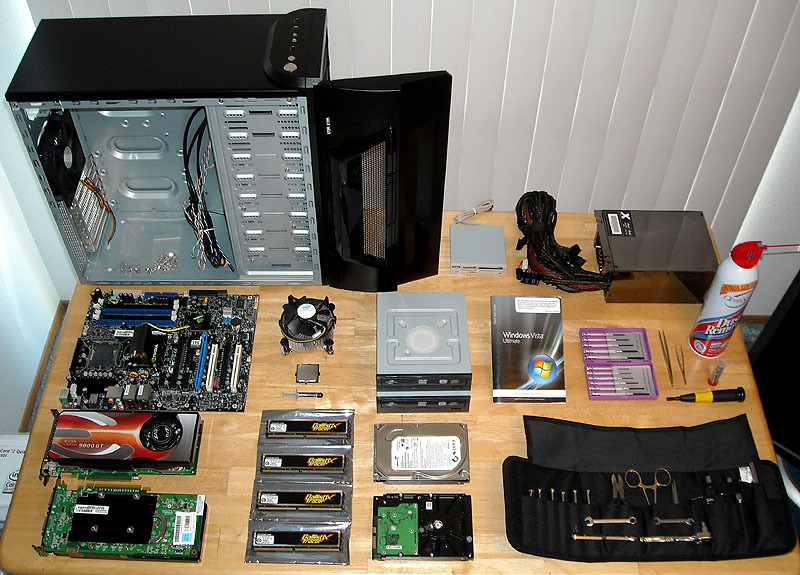 A mid-tower custom computer case can have at least four individual hard drives with capabilities to add more with a bit of ingenuity. 8. Bells-and-Whistles – With the amount of add-ons that are available for computer systems, customization could take on a whole new aspect. Temperature gauges, sound system control, or a coffee-cup holder with a built-in cigarette lighter in the front panel the custom computer can bring a level of fun that the others can’t. Just what makes up a brand name, anyway? Did you know that the same manufacturers for Dell computer components make the same devices in a custom-built computer? Get exactly what you want out of a computer system and not what someone thinks you need. Author Bio: Jason Miner an expert freelance writer loves writing articles on different categories. He is approaching different bloggers to recognize each other’s efforts through http://blogcarnival.com/bc/. He can be contacted through e-mail at jasonminer8atgmaildotcom.